Watch Dogs is almost out for the amusement of most gamers. However, not everything is perfect about this game. One of the weakest aspects of Watch Dogs is its hacking system, which allows players to hack basically anything in the surrounding environments, including technically non-hackable objects. 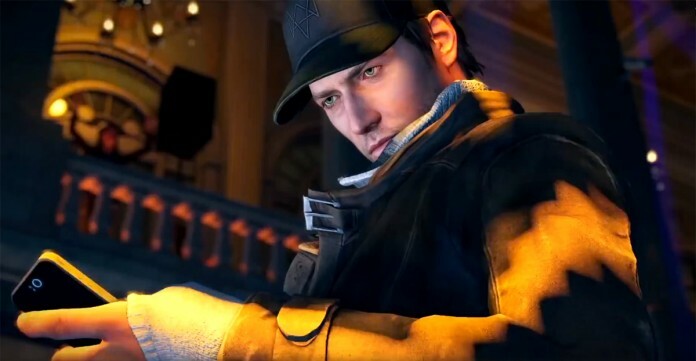 Besides that, the game’s protagonist, Aiden Pearce, is some kind of god who can simply invade all networks without much trouble. And of course, all this without getting caught. Check out why Watch dogs’ hacking system can’t convince anyone at all. Who would say that hacking in the near future would be as fast and easy as one single click? In Watch Dogs, hacking and phreaking have nothing to do with the real thing. Time boundaries are completely renounced, hacking techniques are basically inexistent and the very hacking tools resemble automated casual applications. If hacking would be as easy as in this game, then we would be currently assisting to the downfall of modern society. Good for us, most computer exploit techniques still require some time to be properly executed. And unlike Watch Dogs, one click is certainly not all what is needed. Breaking all the rules of modern hacking wasn’t enough for Ubisoft, so they decided to prove that nothing is impossible in the world of Watch Dogs. Whether it’s an unintentional lapse or a leap of faith, the truth is that mechanical devices can be hacked in Watch Dogs. It might seem cool and rather convenient to hack a huge variety of things in the surrounding environments but how can a physical object with no electronic circuits be hacked? It’s beyond unrealistic, it’s quite pitiful. But it gets even worse with the hacking ability of mechanical devices that require pure strength to be lifted, which naturally challenges the laws of physics and evokes a sense of magic or supernatural. As players progress in Watch Dogs, they’ll be able to unlock new and more powerful hacking abilities until the point that the whole Chicago city will be at its knees. With so much power on his hands, Pearce inevitably becomes a living god capable of performing all types of imaginable things. He can virtually get anywhere, anytime, anyplace. But let’s be honest, even elite hackers of nowadays would be jealous of this virtual character. For someone who spent a good while in prison, Aiden is extremely paired with reality. In fact, he manages to outsmart everyone with his hack, showing that he’s either a god among the living or then it proves Chicago has close to zero defenses against cyber-crime. The typical hacker on the run is perfectly portrayed by Aiden Pearce in Watch Dogs but the thing is, he is never caught, just as the good old hero in mainstream movies. He does not only have flawless solutions for every unexpected incident, as he is able to hack any network without ever getting detected. No matter how many times he might hack the same networks or the same type of objects, he will just go on unnoticed. Once again, it’s the power of seemingly divinity. Even in the worst case scenarios, Aiden doesn’t need to panic because upon detection it’s extremely easy to run away through the countless weapons proportionated by the dynamic environment system. One of the things that Watch Dogs show us is that the future will be amazing for cyber criminals but what’s confusing is the incredible level of unrealism. Aiden can hack all citizens and freely acquire their personal data. Isn’t there anyone at all who has a decent security system able to detect hacker attacks? How can governmental networks not notice all the strange anomalies happening all over the city? Worse, why can’t they do anything efficient about it? Doesn’t Chicago have an anti-cybercrime police department? After so many bizarre aspects regarding Watch Dogs’ hacking system, I can only conclude that cybercrime is prompt to be shameless and unstoppable in the future, at least according to Ubisoft.